We had a great Christmas with you and your family. Thanks for having us over! Anna´s last blog post ..Merry Christmas! That’s a picture from last year. I couldn’t resist. I hope everyone had a great holiday! What a sweetie! Merry Christmas, Serena! iliana´s last blog post ..Happy Holidays! Merry Christmas to you and yours, Serena! What a cutie pie!!! Merry Christmas! 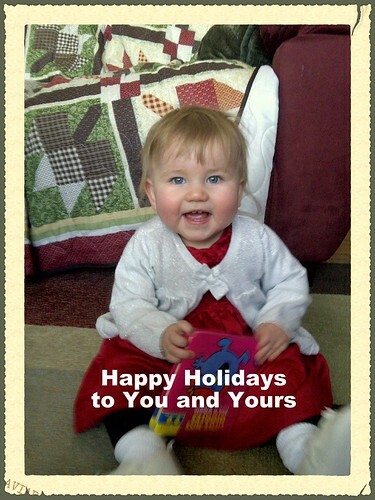 bermudaonion (Kathy)´s last blog post ..Merry Christmas! rhapsodyinbooks´s last blog post ..Happy Holidays!